The journal publishes information about various academic events: publications of new works, announcements and reviews of international conferences, congresses and other forums, dedicated to research on the Balkans. In the structure of the journal are included interdisciplinary studies, contributing to the clarification of specific issues of the socio-economic, political and cultural development of the Balkan countries, viewed from various aspects of their relations with other regions in Europe and the Mediterranean, from ancient times till present. 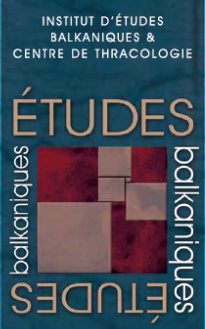 Etudes balkaniques journal is a place for meetings between researchers and university lecturers, interested in the Balkans issues. Information is also available at Ulrich's Periodicals Directory. Contents: papers, reviews of newly published books and research activities in the field of Balkan studies in Bulgaria and abroad.